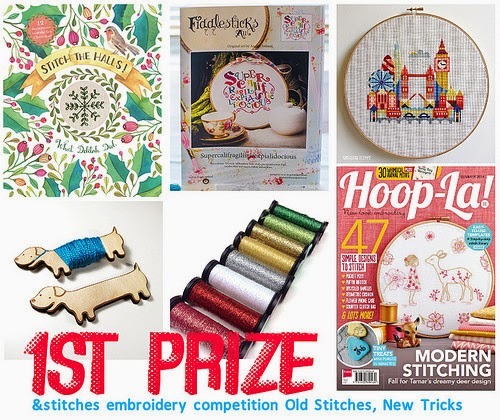 Just in case you don't read the &Stitches blog: we have a fabulous new Embroidery competition going on called Old Stitches, New Tricks! 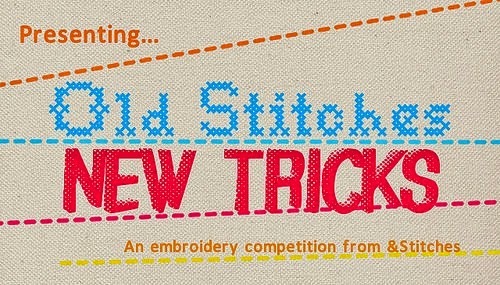 You can read all the details (about how and when to enter etc) on the &Stitches blog but basically the idea is that you take something 'old' (an old pattern or technique for example) and use it in a contemporary way. An interesting challenge for sure! Great prize to win: this is the loot the winner will get!